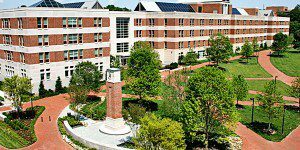 The Dingman Center for Entrepreneurship at the Robert H. Smith School of Business has announced that it has accepted 10 startups into the Terp Startup summer incubator program. Terp Startup is the final phase of the center’s three-stage Fearless Founders Accelerator.Only the best of the best make it to Terp Startup—students must go through a lengthy application process where they must prove why their startup is worth it. Those who are accepted receive a stipend of up to $5,000, access to the Smith School’s incubator space, and a dedicated mentor to help them grow their businesses over an eight-week period in the summer. Chris Rehkamp, the Dingman Center’s student venture programs manager and head of Terp Startup, says that he organizes a variety of activities, workshops and field trips designed to help each startup learn more about the specific challenges of venture creation. Dark Sonar Technologies, LLC: a cybersecurity company that detects and prevents threats on websites and mobile apps by providing automated identity and access management software. Symbiont Health: This startup has developed automated fall detection devices to account for the millions of elderly falls that are due to a sudden loss of consciousness. Past Terp Startup participants have gone on to achieve success in business pitch competitions, including 2016 Cupid’s Cup winner Javazen, and 2017 Pitch Dingman Competition first and second place winners Curu and CourseHunter.